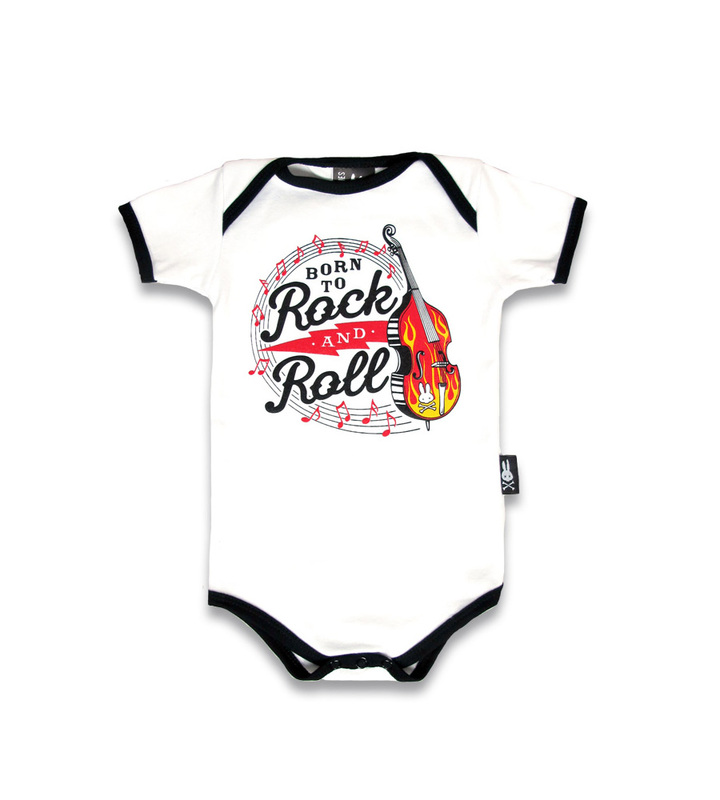 Grandma grew up in rockin’ 50s and swingin’ 60s. 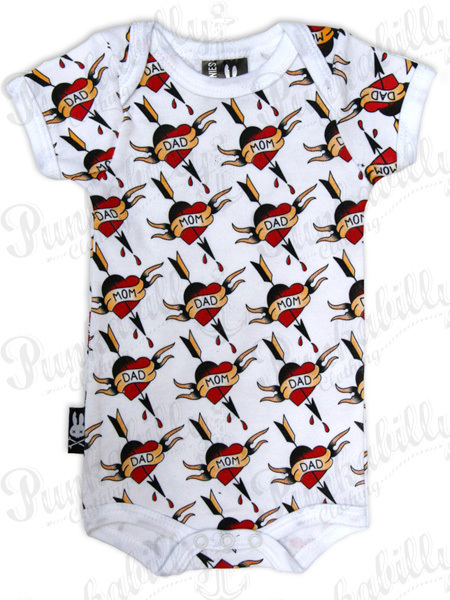 She was at the heart of rockabilly music and hippie culture, where love was free and music ruled. 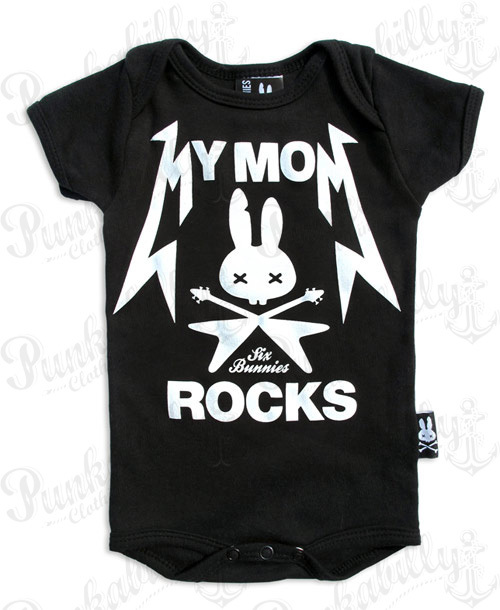 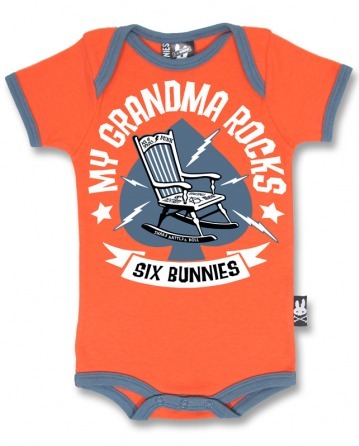 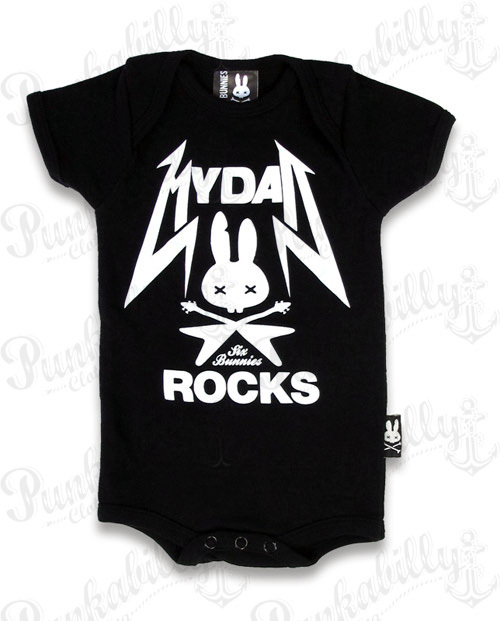 Grandma rocks, so let your baby show it off in this orange and blue Six Bunnies, punk onesie is made from 100% cotton.